Do you think it’s a little too early to start reading to your 1-year-old? So many of us focus on keeping the baby well-fed, dry, and sleeping well. The rest of the time, they’ll probably be playing with their toys. But did you know that the more you read to your baby, the more words they learn and memorize? They’ll later use these words to name the objects they see and express their feelings. You are your baby’s favorite person and they love hanging out with you and listening to your voice, so why not grab that book and snuggle with your baby for some mommy-baby time? Use the links above to check the latest prices or read our in-depth book for 1 year old reviews below. What’s the Reading Level of a 1-Year-Old? As you read to your baby, you’re helping them build vocabulary which will improve their communication skills. You also stimulate their imagination and aid brain development, when you introduce them to the concept of stories. You’ll be giving them information about the world around them. As a result, they’ll start recognizing the colors, shapes, letters, and numbers that they come into contact with (source). Encourage your child to point at the pictures, lift any flaps, and ask questions. This will promote their social development and thinking skills (source). Here are some tips to help you read to your baby. Read often but only for a few minutes. Reading before bedtime is preferable, but also find time during the day to do so. Cuddling your baby while reading fosters security for your child and helps them bond with you. Pause and ask a question in the middle of reading, and answer it. In doing so, you’ll start stimulating their thought process. It’s okay to repeat the same story over and over. Young children learn from repetition. Use facial expressions, vary your voice where it applies, make funny animal sounds, and also sing. This will help your baby associate reading with fun. Set a good example by reading on your own. Children learn a lot through observation, and if mommy can read, baby can read as well. Are you ready to buy some books for your baby? Here are some pointers (source). Sturdy: Choose thick board books or those made of cloth, as they’ll be able to withstand abuse. Large illustrations and colors: These will be more attractive to your baby. Characters: Go for books with pictures of babies, animals, or favorite TV characters (source). Simple and repetitive: Opt for easy-to-remember rhymes. Interactive: Consider books that encourage your baby to participate, such as those with flaps, or buttons to press to make sounds. 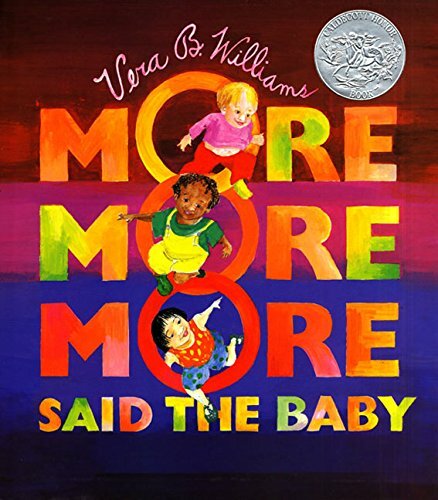 Here are some great books to help you build your baby’s library. Start them young and they’ll appreciate the push when they get older. Let’s go. Get ready for some serious silliness as you mimic animal sounds throughout this book. Starting with cows and sheep and going on to a horse, dog, and cat, among other animals — your baby will be laughing all the way. 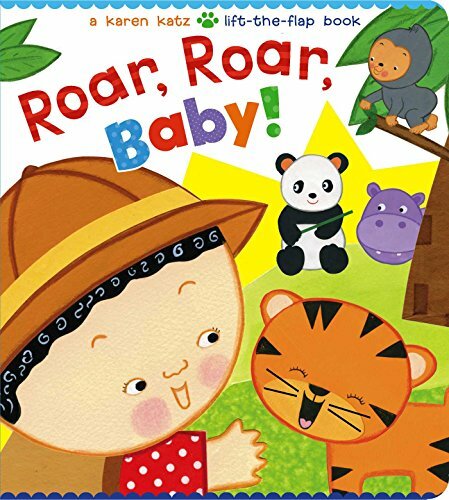 This little book is a fun way to introduce babies to different animals and the sounds they make. This colorful book is full of cleverly hidden animals (and a train) and the sounds they make. It starts with, “Peek-a…,” but rather than lift a flap, you turn to the next page to find the answer. With repetitive phrases and rhyming words, this book offers your child the opportunity to participate in the reading. Plus, they’ll enjoy making the funny sounds. Take a trip to the farm without leaving your house with this cute, colorful, and picture-filled book. It comes jam-packed with all sorts of farm animals, farm produce, machinery, and farm projects. 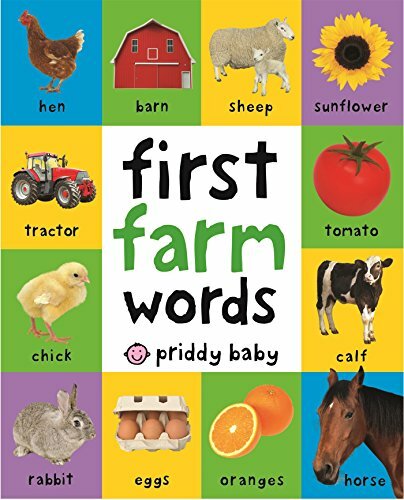 This farm-themed book is perfect for building your baby’s vocabulary and will help them relate the names to the respective picture. It’s a great opportunity for you to simply explain how life on the farm goes. 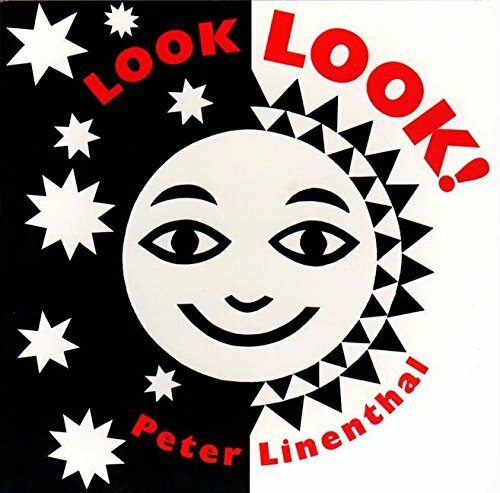 This cute and colorful little book starts by asking where the baby’s eyes are. Upon opening the flap, you’ll find his eyes under a hat. It goes on to ask about other body parts which can be found by looking under the flap. This book is a fun way to help your baby learn about the different parts of their body. This is the story of adorable little animals, the not-so-little ones, getting ready for bed. With darkness falling all around, the story starts with mommy mouse telling little mouse to get into bed. 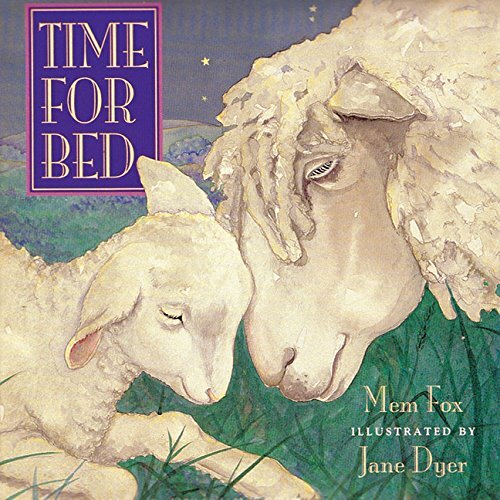 The book uses creative and simple rhymes with watercolor illustrations, to help soothe your little one to sleep. 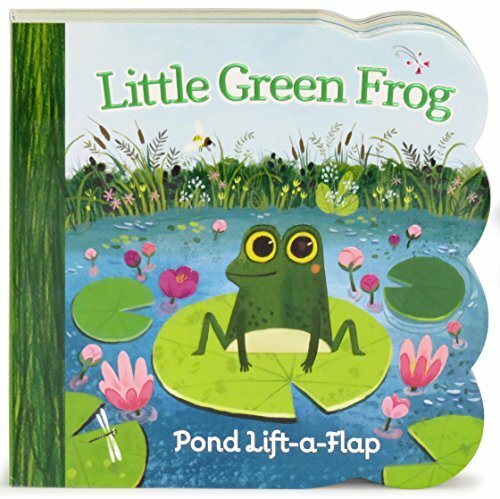 A little frog introduces you and your baby to his friends who live by the pond. You’ll meet a duck and her newly hatched ducklings, fish, turtles, and a bunny rabbit, among others. This vividly-colored little book asks questions and lets you find the answers under a flap. It’s great for interactive reading and learning. 7. Will You Be My Sunshine? 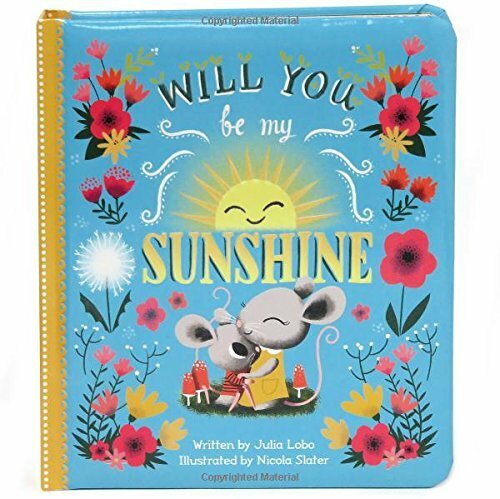 The story starts with a little mouse asking if his mommy will be his sunshine on a cold day. She reassures him that she will be, then he asks if she will be his rainbow when it’s dull and gray. The book uses weather elements to subtly ask if mommy will always be there, even when we lose our way. This is something that both children and adults would like to know. This heartwarming story will evoke hugs and tenderness. The reassurance will give your baby a sense of security. The baby is tired and crying and the whole family, including the family pets, offer kisses to calm her down. From 10 kisses on the baby’s toes, this book counts down to one final kiss on her sleepy head. 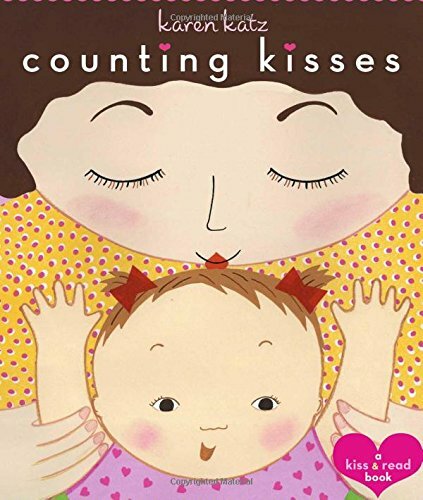 Mommy and baby can try out these kisses during reading time. It will help reinforce your affection for your baby, and they’ll know for sure that they are loved. The cute bunnies on the front cover are enough to hook you for life! 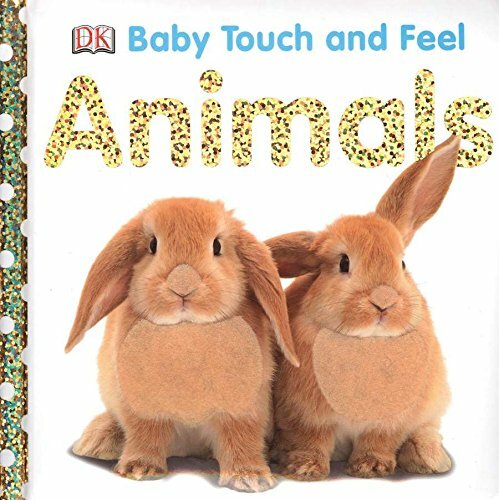 This animal book is perfect for the little hands that like to touch books while you’re reading. Each page mentions a different animal and has a textured feel. This book encourages your baby to participate, with easy-to-turn pages and exciting textures for them to explore. The baby takes a trip to the zoo, looking for a baby tiger. He searches all over but finds different animals instead. Finally, he finds the baby tiger hiding in the tall grass. This book uses repetitive phrases and beautiful illustrations to draw you in. Your baby will enjoy lifting the flaps to find the baby tiger. This book starts by saying that hands reach, flowers bloom, fish swim, and the stars shine. These are just some of the things that happen for the baby to see. The black and white contrast in the book is simply amazing. 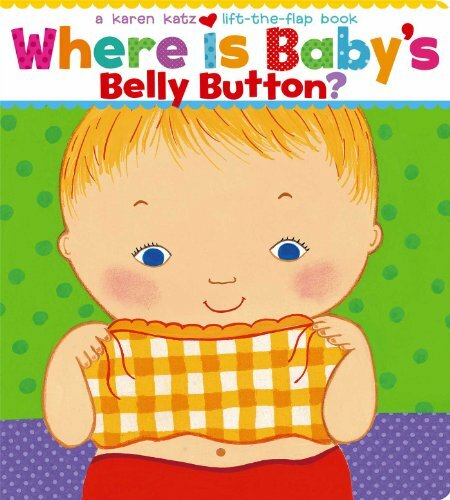 It uses full-page illustrations and short writings, printed in red, to help your baby learn how different things work. 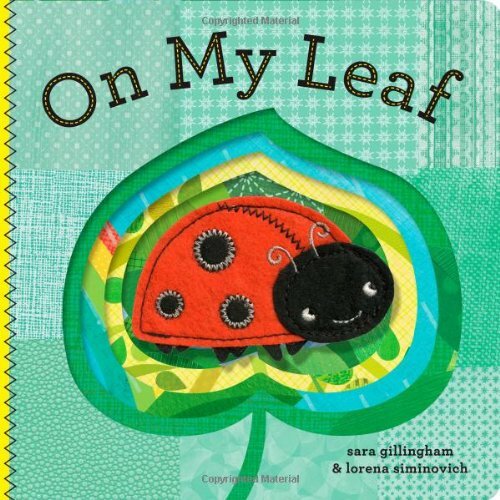 Colorful and beautifully illustrated, with die-cut pages, this book tells the story of a little ladybug chilling out on a leaf. We follow him as he navigates through rain, drinks water from a flower, and hangs out with his family. The book carries a reassuring message on the simple beauty of life. Its unique layering makes for interactive reading and fun moments. This is the story of Little Guy, Little Pumpkin and Little Bird. Each of these babies gets to play and have fun with their parents (and grandma). From belly kissing to swinging round and round, the babies simply can’t get enough and demand more. Doing some of the fun stuff you read in the book will certainly make your reading times more fun. It will also help draw you closer. What better way to count than using delectable fruits? 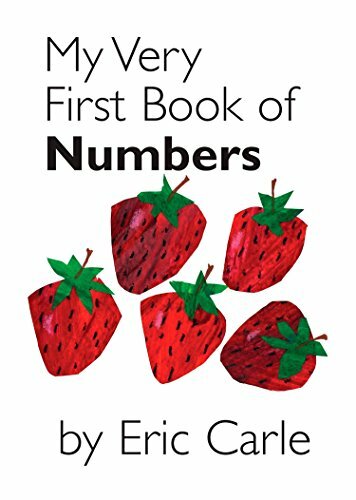 This book contains numbers one to 10 and fruits that match these numbers. Set on a white background, your baby will find it easy and fun, looking for and counting the fruits. The best part is that your baby won’t just count numbers, they’ll be learning what different fruits look like. 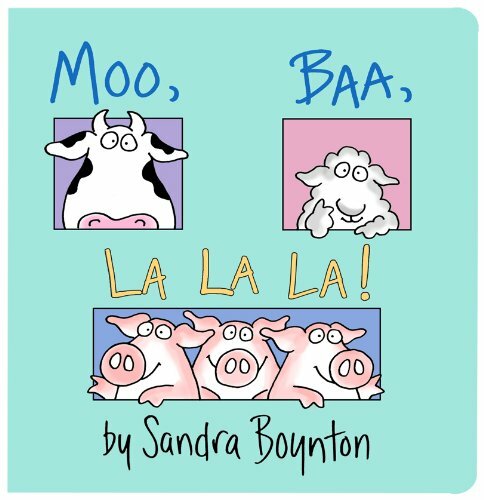 With tons of beautifully written, fun, and interactive choices on this list of best books for 1-year-olds, my all-time favorite remains Moo Baa La La La. It allows you to be goofy with your baby as you make animal sounds together. It really is a learn-and-play book. As you read to your baby, remember that you’re setting them up for success later in life. Your child will grow to love reading and this will open doors to new and exciting adventures. Do you have any questions about our review? Is your favorite book missing from our list? Please write in the comment section, and remember to click the share button!